Detail of a Panel from "Lawyers without Rights"
In April 1933, shortly after the Nazis came to power, Jewish lawyers, judges, law professors, and civil servants throughout the judiciary system were disbarred and stripped of their right to practice law. The wide-ranging contributions of Jewish jurists in the late 19th and 20th century were disregarded. Developments in commercial law, penal law, contract law, family law, civial law, criminal procedures, women’s rights, and free speech were ignored. Under Nazi ideology, social justice and the rights of minorities became “Jewish perversions” that had to be eliminated. 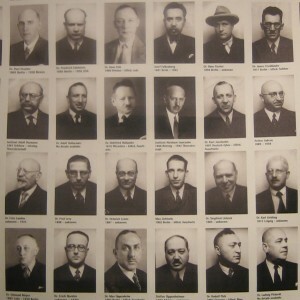 “Lawyers Without Rights”, focusing on the fate of Berlin’s Jewish lawyers after 1933, was originally curated by the Bar Association of Berlin and the Centrum Judaicum. 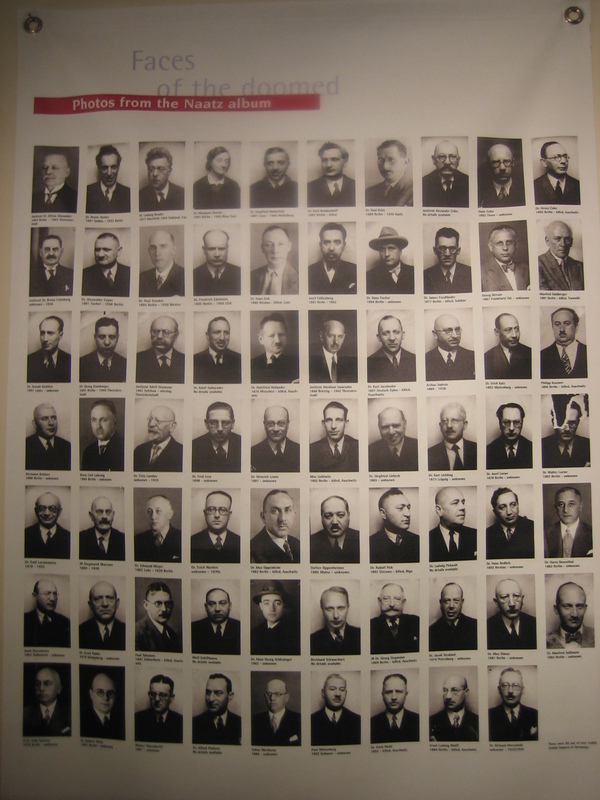 The exhibit was subsequently expanded to include lawyers from all parts of Germany before being presented at the 63rd German Jurist Convention in Leipzig in September 2000. It traveled to Israel before arriving at the Leo Baeck Institute in New York. For the exhibit at the LBI, the panels have been augmented by letters, photos, documents, and other material from the LBI archives. An essay by Carol Kahn Strauss accompanying the exhibition is available in The Jewish Experience. The Magazine of the Center for Jewish History, Volume 1, Issue 2 (Fall/Winter 2004/2005), p. 7. A catalog, which includes all the panels, is available at the LBI.